Select from a diverse range of café-style breakfast & lunch meals crafted from the finest, locally-sourced seasonal ingredients. Enjoy quality roasted Niccolo coffee, prepared to your liking by our academy-trained Baristas. To help raise funds for the almighty Royal Children’s Hospital Good Friday Appeal we will be Donating $2 from every “Hot Cross Jane Bunn” purchased at Lucky Penny to the Appeal. 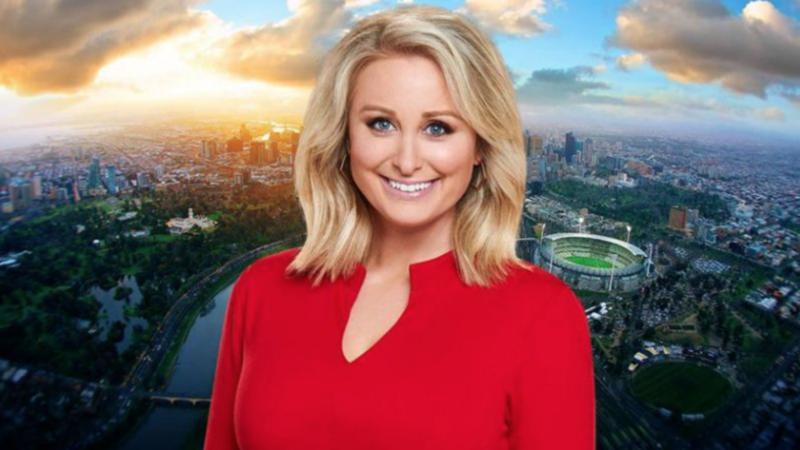 In honour of Melbourne’s Favourite weather girl and to help raise funds for the all mighty Royal Children’s Hospital Good Friday Appeal we will be Donating $2 from every “Hot Cross Jane Bunn” purchased with Lucky Penny to the Appeal. Come in to the store at 481 Chapel St, South Yarra or place an order by clicking the button below. We serve a delicious variety of modern Melbourne food, prepared by award-winning chef Noah Crowcroft (formerly of Red Spice Road). We take care to source only the best local produce and have a range of vegan and vegetarian options available. We pride ourselves on producing great coffee. Get it on the go, or sit and enjoy it with friends. For the coffee aficionado, we regularly have new specialty blends for you to sample, with espresso, cold-drip and filtered options available. Experience the lively and relaxed atmosphere of Chapel Street from within our award-winning, modern vintage interior, designed by Biasol Design Studio . Our staff are extremely friendly - we're always happy to serve you. We host a range of events from Engagement Parties to Baby Showers, Birthday Parties to Corporate Events! With a capacity of around 100 people and a 3am license, Lucky Penny is a one stop event shop and will create an exceptional experience for your next event! This gorgeous, Victorian architecture style private function space, is located in the heart of South Yarra. Boasting high ceilings, wide arch windows, and light timber floors, giving you the ultimate space for any occasion. Our event staff (your personal staff for the night) are fun, friendly and highly trained & skilled in all areas of hospitality; service and quality is number one on our agenda. The fun doesn’t stop there, Chef Crowcroft will tantalise your taste buds with a number of polished catering packages using locally sourced high quality products, perfect for any style of event. Our amazing Functions Coordinator will take the hassles out of organising your next celebration. We are often booked weeks in advance, so enquire early to see what we can arrange for you and we'll get back in touch within a day or two. Head to our facebook page to stay up to date with Lucky Penny Functions! Just a rough guess, e.g. "20 - 30 people"
What would you like to know? Include any additional information we might need in order to respond to your queries. DOWNLOAD OUR FUNCTION PACKAGE HERE! Chapel Street’s ever-popular brunch spot, The Lucky Penny, just got a little tastier with Red Spice Road’s Noah Crowcroft coming on board along with South Yarra hospitality duo Tim McGregor and Tavis Rogerson and local entrepreneur Lanis Lanigan. 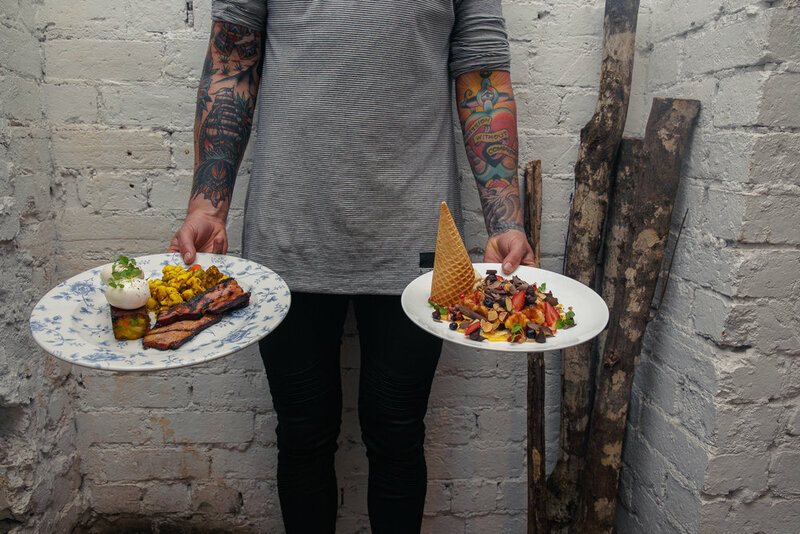 After two years as Head Chef at Red Spice Road’s flagship venue (winner of The Age Good Food Guide 2016 People’s Choice Award) Texan bred Crowcroft embarks on his first business venture with The Lucky Penny and has many a grand idea for this South Yarra favourite. Completing the new Lucky Penny team are the talented hospitality duo, and best friends, Tim McGregor and Tavis Rogerson. Tim found his groove in the hospitality scene as a mixologist and barista working at popular city nightspots Baroq House Mansion and Electric Lady Land. Tavis has worked at multiple venues on Chapel Street for over ten years and knows it like the back of his hand. Combining thirty years of Hospitality knowledge between them they've also joined forces with well known Melbourne socialite and Entertainment entrepreneur, Lanis Lanigan. ‘We have the dream team here at The Lucky Penny and we can cater for all walks of life. From the wanderlust traveller, to the brunch connoisseurs, the instafamous to the instagram-lover, to the health conscious and vegans; the hungover or the gym junkie - the Lucky Penny crew have you covered,’ says Lanigan.